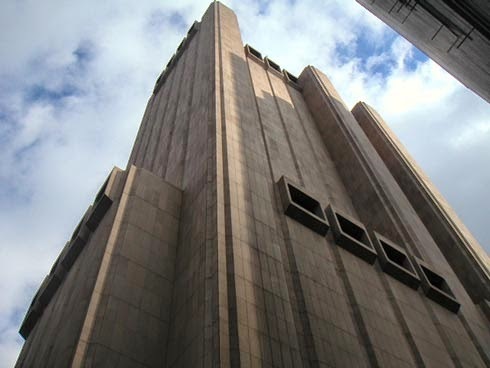 The AT&T Long Lines Building in Downtown New York City has no windows; none at all. It houses a great deal of communications technology, but aren't there any human beings in there? If not, that's troubling in its own right; a whole building with nothing but machinery working away? But if there are people in there, what are they doing all day with no natural light, no outside air directly circulating through. It must be like working in the subway, yet the fact that it's a skyscraper makes it all feel somehow eerier. There's some purely practical reason there are no windows in that place, no doubt, but it begs a story to be told: something we're not supposed to see in there, or something in there that's not supposed to see out.